One of the perks of my job is the opportunity to sift through our old files when scholars email us with research questions. 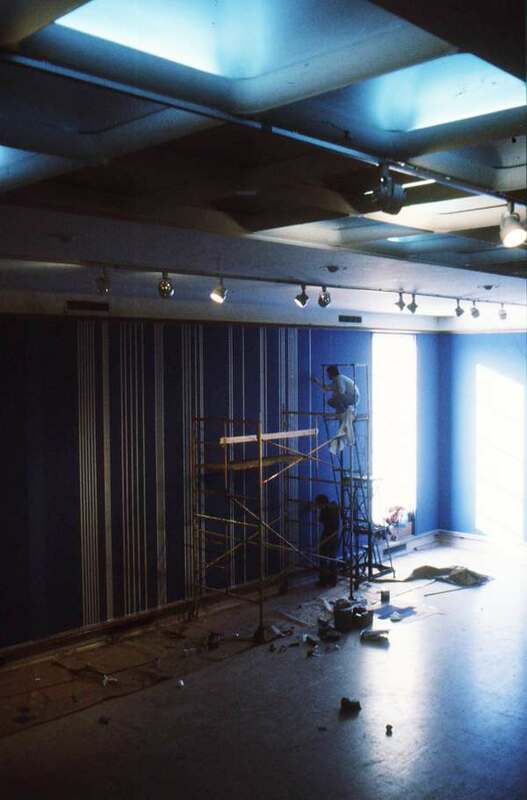 One such request led me to our records for Viewpoint ’81, an exhibition of works by six artists created for and painted directly on the gallery walls at Cranbrook Art Museum. 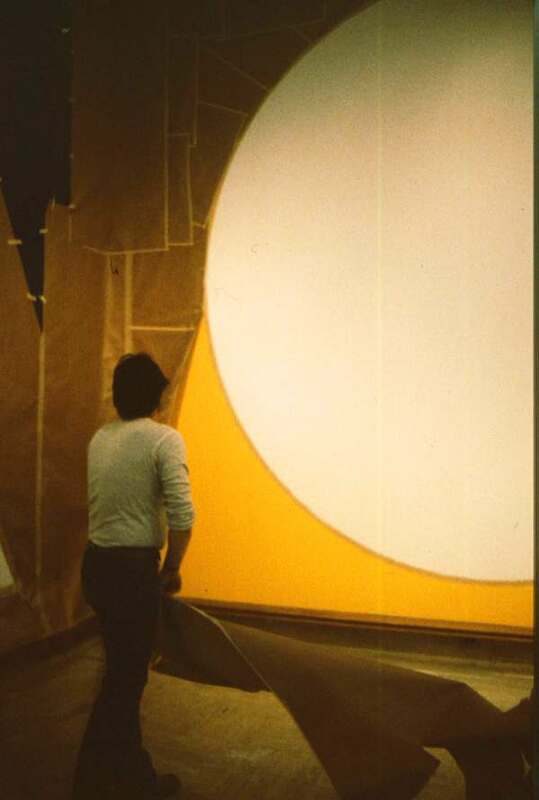 Daniel Buren, Gene Davis, Sol LeWitt, Patrick Ireland, Rick Paul, and Dorothea Rockburne each contributed to the installation, which was up from January 20 to March 1, 1981. I could kiss whoever documented the development of this exhibition. 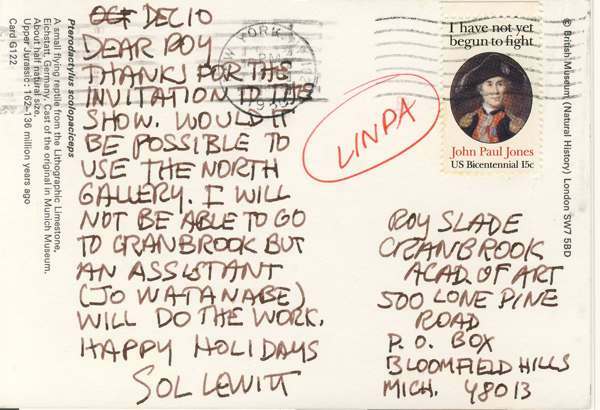 When I got to the old metal file cabinets in storage, I found folders filled with hundreds of slides showing the installation process, along with photographs and mail correspondence between artists and museum employees. 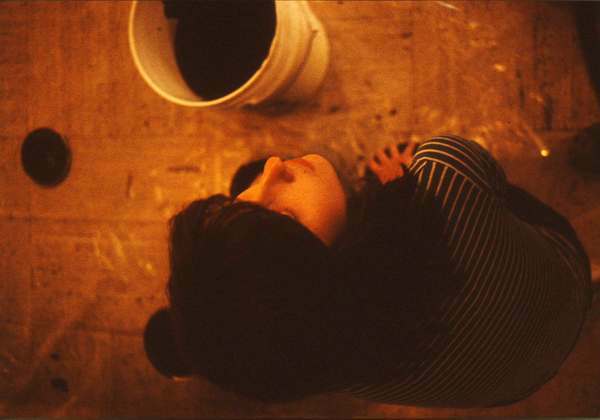 Above is the cover of the brochure produced for the show. 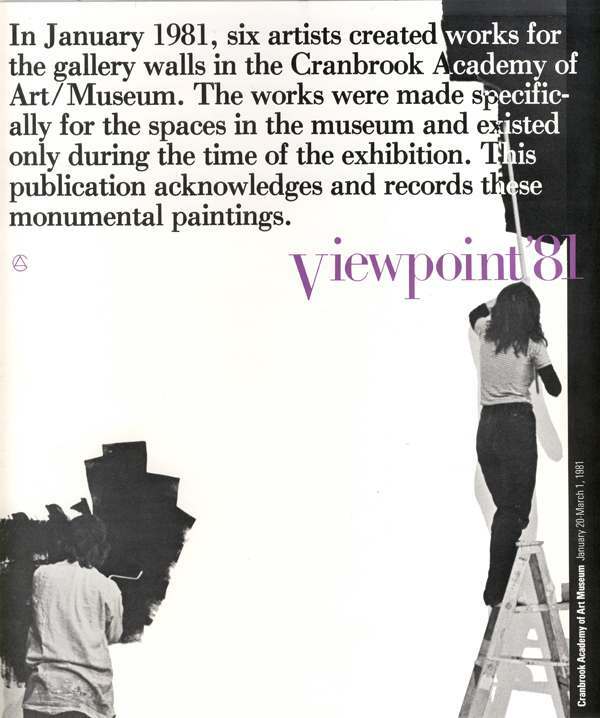 You can view it in its entirety by clicking this link: Viewpoint ’81 Brochure. Before the age of desktop publishing, printed materials like this brochure were often created by manually assembling a paste up of each page layout and photomechanically reproducing it. Speaking on behalf of Generation Y, this is mindblowing. 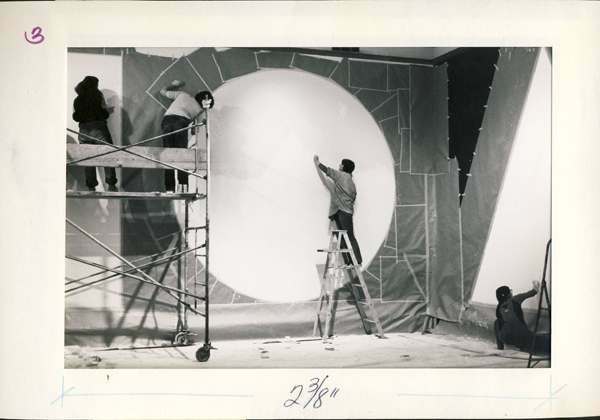 But sure enough, in our exhibition files I also found the photographs reproduced in the brochure, encased in paper frames with measurements for the paste up! 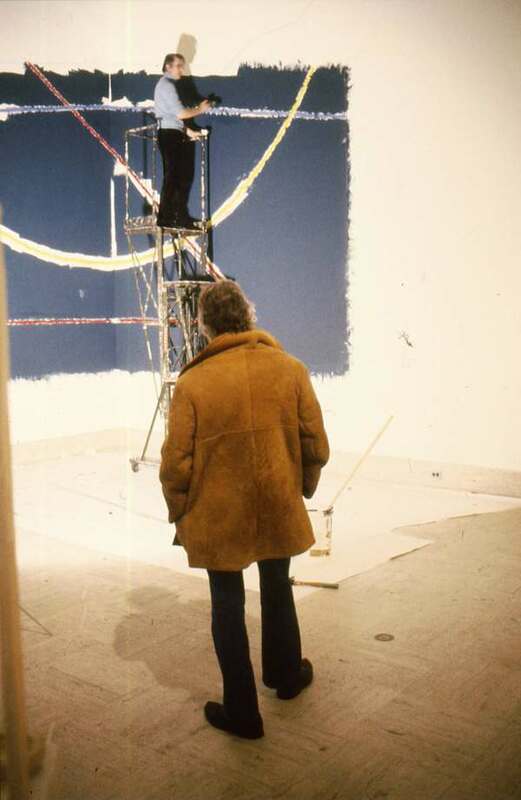 Installation of Sol LeWitt's Six Geometric Figures on Red, Yellow, Blue and Black Walls, with measurements for paste up layout. 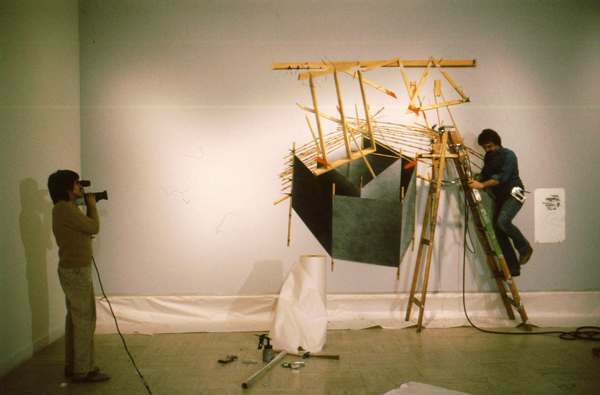 And finally, the true impetus behind the blog post: a wonderful interview with Gene Davis about the exhibition and his artistic practice, conducted by CAM’s Curator of Collections John Gerard. 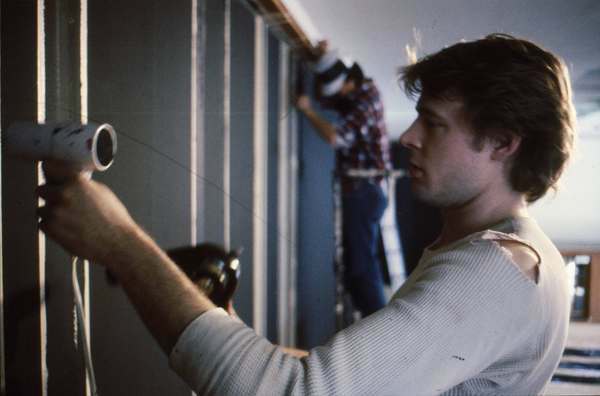 As far as I can tell, no one has published a monograph on Davis since the paste up days, so perhaps this interview will prove useful for future researchers. Here is a link to the transcript: Interview with Gene Davis.